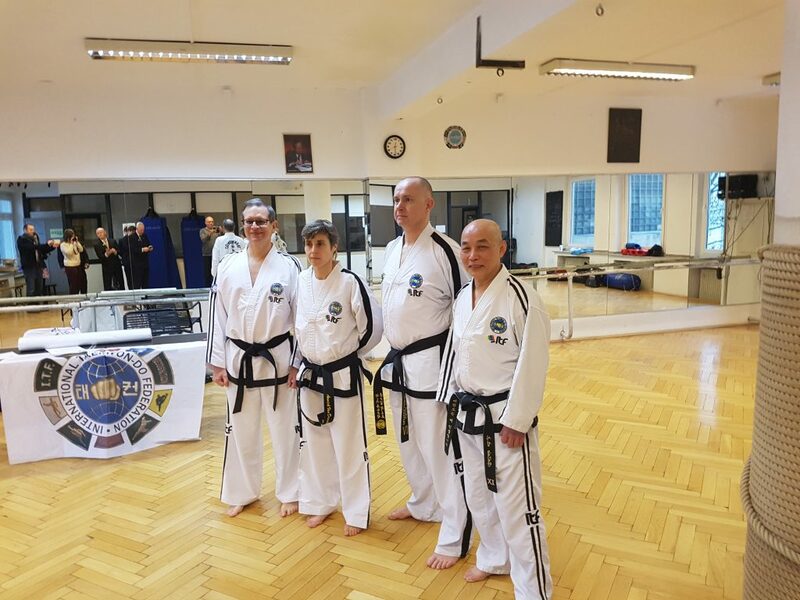 On December 10th in Dortmund, Germany Annick Van Driessche was promoted to Master VII°degree, under guidance of Grandmaster Kim Ung Lan and GrandMaster Rolf Becking. The grading consisted of tul (Tong-il, So-san, Yon-gae and Eui-am), sambo, ibo & ilbo matsogi, hosinsul, sparring, 3 breaking techniques and a theoretical part (which took about 40 minutes). Annick did her grading together with Nigel Stobie (Ireland), who was also succesfully promoted to Master.